When Metallica followed up Ride the Lightning with Master of Puppets, an album that is virtually identical in terms of structure and songwriting, I don’t recall anyone at the time getting butthurt about receiving more of a good thing. 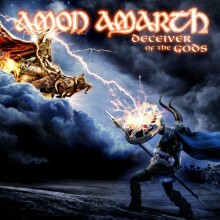 Twilight of the Thunder God = Number of the Beast; the definitive and instant classic. Surtur Rising = Piece of Mind; the longer and more confident follow-up. Less oomph, but definite quality. Deceiver of the Gods = (you guessed it) Powerslave; a top-of-the-game album. Safe choices, very clean production. It’s a fun record with all the chops you would expect and influences written all over it. It has a Priest’s worth of double harmonies and a heck of a lot of old-school thrash. “Blood Eagle”, in particular just screams Kreator. I highly recommend the deluxe version, which includes an EP of original tunes written (absolutely perfectly) in the style of Priest, AC/DC, Mötorhead and Sabbath. Johan Hegg’s Ozzy impersonation alone is worth the price of admission. Deals & Steals: That’s a Lotta Vikings! Leaves Eyes – Vinland Saga $8.99. Moody conceptual stuff about Leif Eriksson’s travels and exploration. Soilwork – Stabbing the Drama $8.99. Slowly filling in my back catalogue of these Gothenburgers and In Flames BFFs. At the Gates – Slaughter of the Soul $4.49. Speaking of Gothenburg, there wasn’t an identifiable scene until this album melted everyone’s faces. Dark Tranquillity – Character $2.49. One of their best. 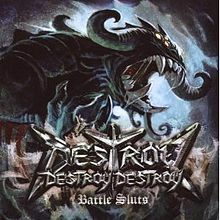 Destroy Destroy Destroy – Battle Sluts $5.00. Actually an American band. But that title! Sounds like Cradle of Filth meets Manowar. Perfect touring partner for 3iob. And in the super-bargain category, some finds from the local thrift store. Each were only one or two bucks apiece! Green Day – American Idiot. Overplayed? True. Overplayed because actually very good? Also true. Promonium Jesters – Time and Place. I once saw these Ontario industrialists open for Hanzel und Gretyl. Their recorded output has a steal-from-the-best quality to it, including some spot-on Skinny Puppy influence. 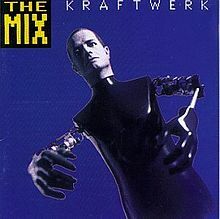 Kraftwerk – The Mix. Worth it just to find out I’ve been singing the chorus wrong all these years. Still, fun fun fun! 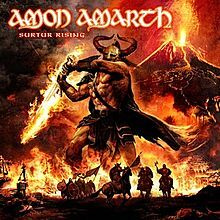 Surtur Rising kicks off with “War of the Gods”, a punishing gallop through territory Amon Amarth knows very well, and they deliver the goods with polish and ease. As an opener, it also serves as a “Previously On” looking back to previous record Twilight of the Thunder God, which was an exhilarating (and possibly unsustainable) headlong charge. The rest of the album explores different tempos and moods, the tone of these songs having a lot more in common with earlier works With Oden On Our Side or The Fate of Norns. The deeds and passions of gods and men mingle here, and if it is difficult to distinguish between the two that is likely by design. What Amon Amarth are doing here, exploring the small moments across the battle field of Ragnarök, is the same thing Amorphis have done by returning to the Kalevala for source material: added a mature legitimacy to the enterprise. These are actual Scandinavians recounting the legends and history of their people with an eye to detail that makes Manowar seem like a bunch of bikers who like to LARP. The story is here viewed though the veil of myth, not the fuzzy lens of fantasy, a difference that seems small but allows us to immerse ourselves in a different time and place without projecting MTV-era values onto them. Enter your email address to receive notifications of new reviews and posts by email. Damn Me With the Knowledge! Classic Album - Spahn Ranch! Album Review - Front Line Assembly!